Image above via Tarik I think. I got an email yesterday from someone who preffered names not mentioned . They seem to provide some details on Symbian Belle. Anna is next Month. June. That’s what twitterverse thinks too. Widgets non-resizable but of different size (as seen in first screenshots) look much better than what we’ve seen so far. No more apps folder, just a long list of apps. I just thought i’d share with you what I know about Symbian Belle and what Nokia will be doing in the near future at least with Symbian. I was lucky enough to get to have a go on a test device running Symbian Belle and it was actually very stable and I would say almost in a form where it would be quite usable on a commercial phone. Looking over the website you do seem to know a lot about Belle already but I think i have a few things you don’t know. Here are some things i noted down about the system and some of the answers I received from the Nokia employee. Firstly the screen shots you posted about Belle are correct. The icons at the bottom have changed to those that are on the screenshots. All Symbian updates will be girls names and in alphabetical order from now on. The new Nokia Pure font was definitely being used on the device. It will be around 5 months before we see the update. 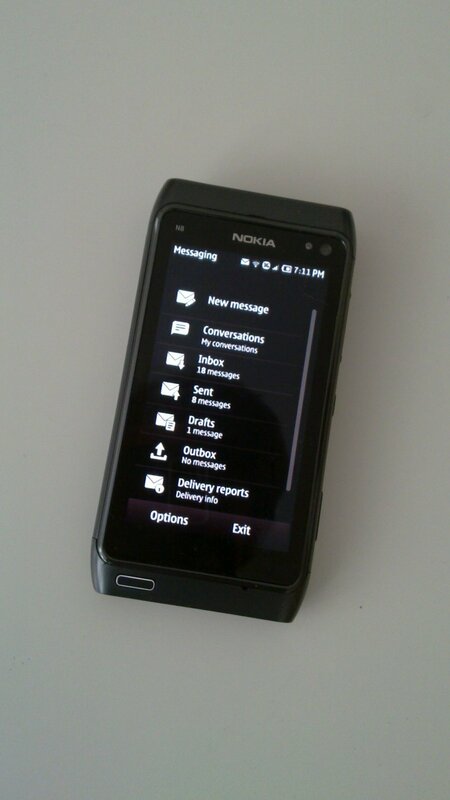 Next month Symbian Anna will make it’s way to the N8 and E7. Maps will be improved yet again. I didn’t get a chance to try it out though :(. The applications folder is now removed and theres just a big list of apps. And the widgets that have been circulating the web are indeed what will be in Belle. It looked sooo much better. The widgets were NOT resizable but each widget was a different size. E.g the clock was smaller but the social widget was still pretty large. All of the first party apps I tried had been updated and the look and feel had been changed. However all of the third part apps were still the same. The all worked in both portrait and landscape. All of those things I’ve just said above are 100% correct as I got to use it myself, the employee didn’t even seem to want to keep it overly secret….